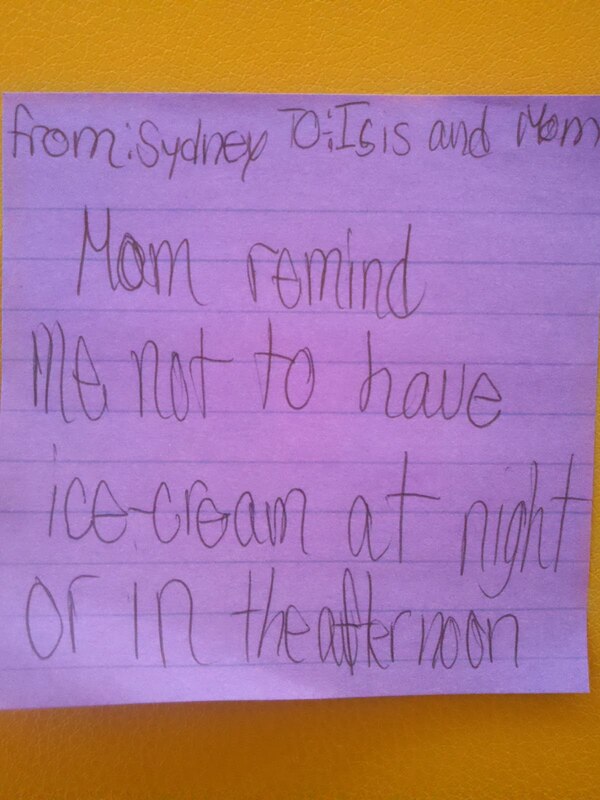 You have to appreciate a newly 9-year-old's "attempt" at making better eating choices - even thought she's absolutely perfect! 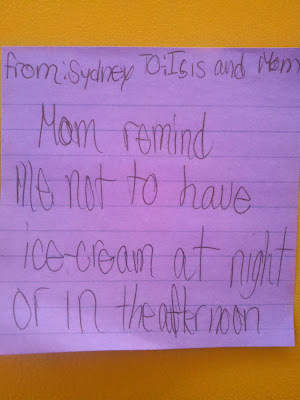 Syd and Sam: I hope you are eating ice-cream like 2 bats-out-of-hell this week at the beach. There is nothing better than sun, swimming and ice-cream every night on the boardwalk!